How to fix a broken heart: complicated. 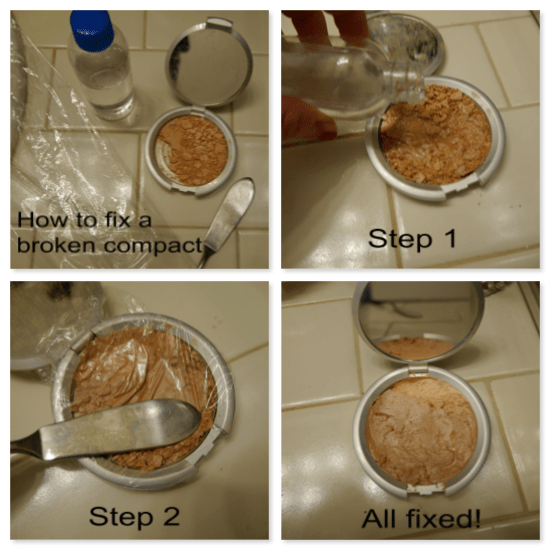 How to fix a broken compact: a couple of drops of 70% rubbing alcohol. Yep, it’s that simple. 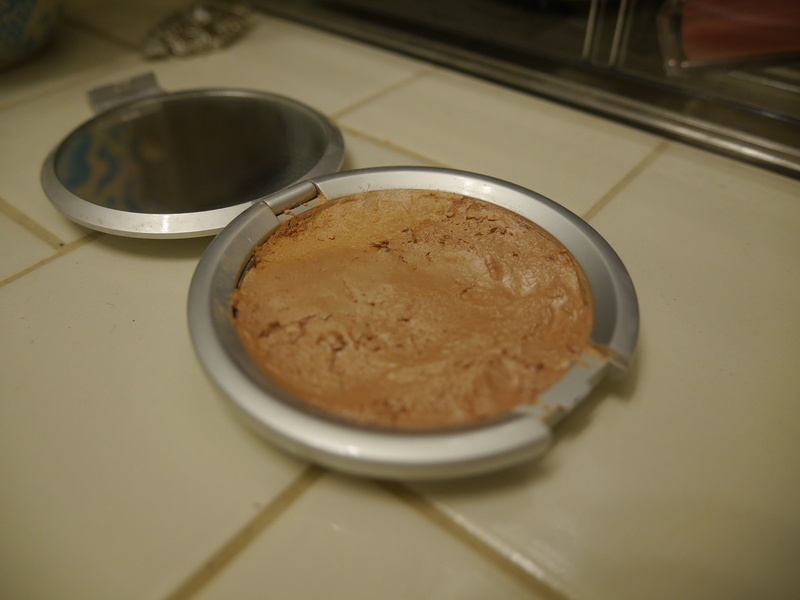 Don’t toss a broken compact! 1. 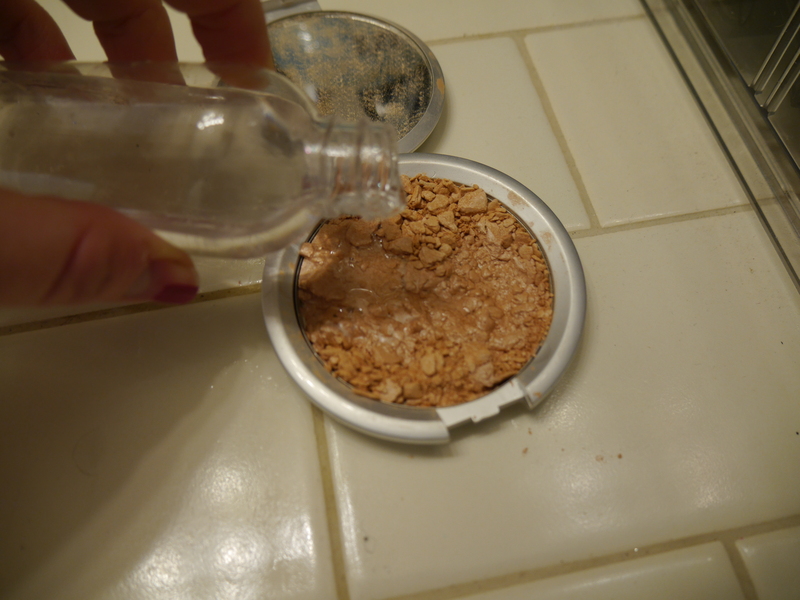 Place a couple of drops of alcohol spaced evenly around your compact. 2. 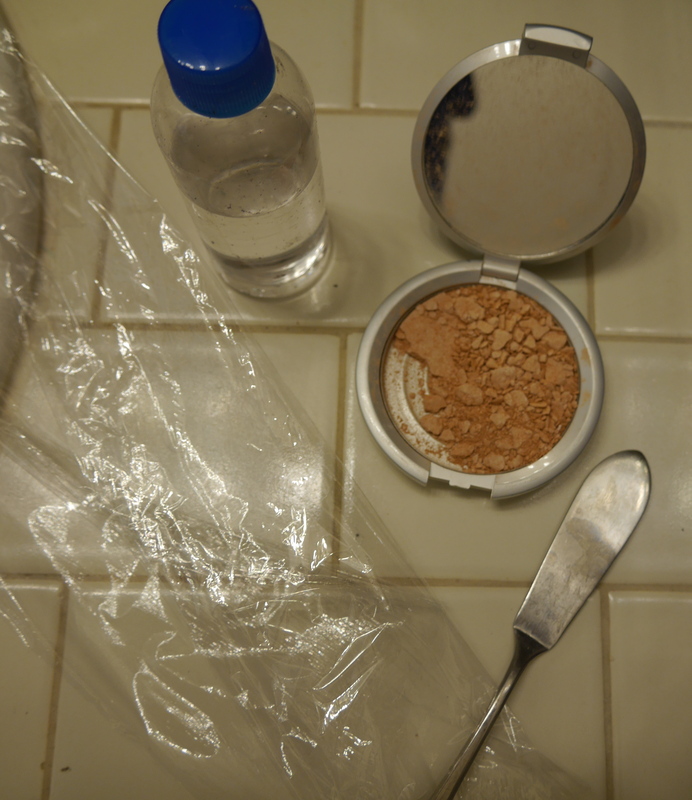 Cover with the piece of plastic saran wrap. 3. Smooth alcohol and broken pieces together. 5. Clean up edges with a q-tip. 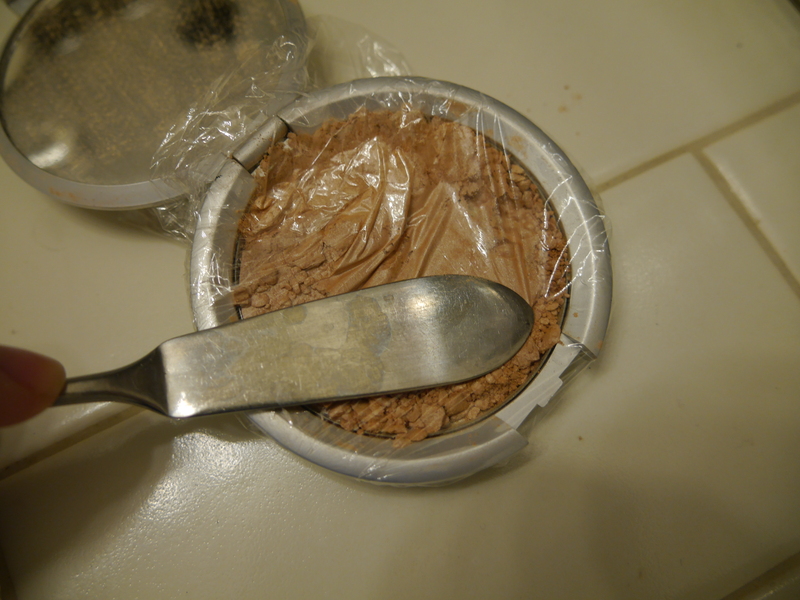 Step 4 – Let it dry and it’s all fixed! Black Friday 2014 + HAPPY THANKSGIVING YA TURKEYS!